From 31 January to 13 February, celebrate Chinese New Year with a flavourful egg tart from Café Kantary. These bite-sized traditional New Year treats are rich, tasty and made with only the best ingredients. 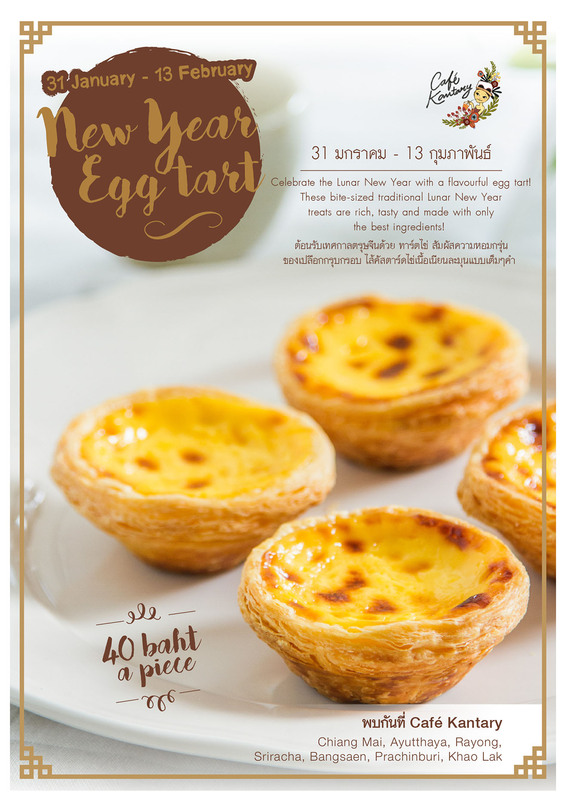 Enjoy our egg tarts for 40 baht a piece, available at Café Kantary locations throughout Thailand. For more information, please contact the Cape & Kantary Call Centre by dialling 1627 or visit our website at: www.cafekantary.com. วันที่ 2 กุมภาพันธ์ 2559 เวลา 11:09 น.